As usual, Harold has done a masterful job of setting out a “big idea” and illustrating it through a vast collection of examples. I have just a few additional observations to make about the Paris Agreement and U.S. climate diplomacy more generally. It is undeniable that the Obama Administration engaged in extensive climate diplomacy. It is worth noting, however, that the Administration’s initial engagement – which led to the 2009 Copenhagen Accord and later to the Paris Agreement – flowed to a certain extent from the engagement of the Bush Administration in its later stages. Several years after rejecting the Kyoto Protocol, President Bush proposed the creation of a “Major Economies” process to address climate change; as a quid pro quo, he agreed to reengage in global negotiations under the UN Framework Convention on Climate Change. In late 2007, the Parties to the Framework Convention agreed on the “Bali” mandate, which launched negotiations on a new instrument that, unlike Kyoto, would include both developed and developing countries. Far less prescriptive than the mandate preceding Kyoto, it also enabled a certain degree of innovation. The Obama Administration picked up the negotiations in mid-stream. In important ways, it broke with the previous Administration, supporting legislative action on climate and beefing up the U.S. negotiating position accordingly; in other ways, however, there was continuity, such as insistence on the meaningful inclusion of China and other large developing countries, on nationally derived emissions targets, and on strong reporting and review. The Obama Administration also continued the “Major Economies” process, utilizing it as a forum for driving solutions in the global negotiations. The resulting Copenhagen Accord, while often criticized for its weakness, in fact contained many of the seeds of the Paris Agreement, including, e.g., a “below 2o C.” global temperature goal; participation of both developed and developing countries; non-legally binding, nationally appropriate emissions targets/actions; and broadly applicable transparency provisions. It was a vital stepping stone on the road to Paris. Thus, while one sees a stark contrast if comparing Bush’s walk-away from Kyoto and Obama’s push for the Paris Agreement, there is a more evolutionary story if one looks at U.S. climate diplomacy between those two book-ends. As Harold notes, President Trump announced his intention to withdraw the United States from the Paris Agreement, but, even if he gives formal notice of withdrawal at the earliest possible date, U.S. withdrawal will not happen until November 2020. There is an argument that international law (i.e., the terms of the Paris Agreement) provided a “guardrail” against immediate withdrawal, but there are also reasons to take a closer look. that the Executive Branch should send Paris to the Senate (presumably laying the groundwork for withdrawing, should the Senate vote down the Agreement). 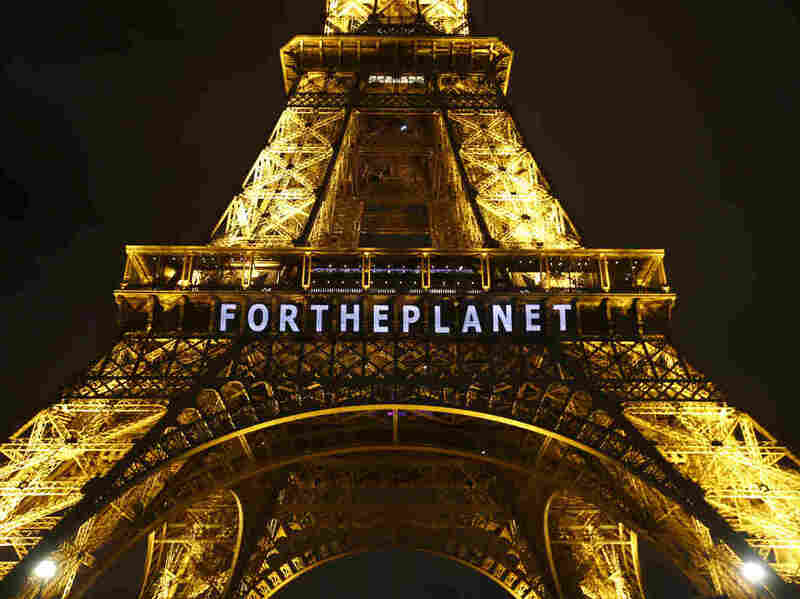 Given the campaign pledge to “cancel” Paris, it was unrealistic to think that the Administration would choose to both remain in the Agreement and keep the existing U.S. target. Rather, it was widely perceived that the “no brainer” option would involve staying in and changing the U.S. target, a legally available option under the Agreement. That approach would have enabled the Administration to meet the campaign promise — by “canceling” the U.S. target submitted under Obama — yet allowed the United States to remain in an agreement that enjoyed strong international and domestic support, including from U.S. business. In any event, it was decided to remain in the Framework Convention and withdraw from Paris in accordance with its terms. As noted, withdrawal could be begun and completed within the Administration’s time in office. It is worth speculating what the Administration might have decided had Paris’ withdrawal clause been different. If, for example, the Agreement had required a Party to wait four years, instead of three, before initiating withdrawal, the Administration could not have ensured the completion of withdrawal during its time in office. In such case, it is doubtful that it would have felt constrained by the Agreement’s terms. It is more likely that it would have either also withdrawn from the Framework Convention (enabling it to withdraw from Paris within a year) or simply announced immediate withdrawal from Paris. It would have been difficult, if not impossible, to justify immediate withdrawal from an international law point of view, even if the Administration had purported to do so. The VCLT Article 46 standard (“manifest”) is extremely narrow, and it is hard to imagine that other countries would have accepted an argument that, among other things, it should have been “objectively evident” to them that the United States did not have the authority to enter into the Agreement. As we now know, though, it is highly unlikely that the prospect of international criticism for withdrawing in a legally questionable manner would have constituted an impediment to such a decision, had the Trump Administration concluded that it was in the U.S. interest to get out of Paris right away. Harold examines the potential for constitutional challenges, in light of evolving case law, should the Administration actually withdraw from the Paris Agreement. I see the potential for such challenges in the case of withdrawal from the Framework Convention, which was a treaty approved by the Senate. However, I am skeptical that such challenges would have relevance for the Paris Agreement, which was not. More broadly, it should be considered whether court challenges invoking the Paris Agreement (as opposed to other arguments) could backfire, both in relation to climate and more broadly. Arguing that the Executive Branch cannot withdraw unilaterally from an executive agreement – or even a treaty – could make it more difficult to get support for joining one in the future. In addition, in terms of Paris specifically, some of the opposition to remaining in the Agreement focused on ways in which outside groups might seek to invoke it in U.S. courts to stop the rollback of domestic laws such as the Clean Power Plan. Such arguments are unlikely to be successful; the Paris Agreement is not of the type that can normally be invoked in domestic court, it does not legally require a Party to achieve its emission target, and, even if such a target were legally binding, the Agreement does not require any particular domestic laws or policies to achieve it – or prohibit changing existing laws or policies. However, the act of invoking such arguments could have the unintended effect of strengthening opposition to joining (or re-joining) agreements like Paris. Many U.S. entities were taking significant climate action even before the Paris Agreement was concluded. The Paris outcome, unusually, included multiple platforms for commitments and other engagement of so-called “non-Party stakeholders.” Perhaps this is the ultimate reflection of non-State actor absorption of international law, but it might also be viewed as the direct engagement of non-State actors in the international process, rather than as the indirect engagement of those actors in law/norms directed at States.